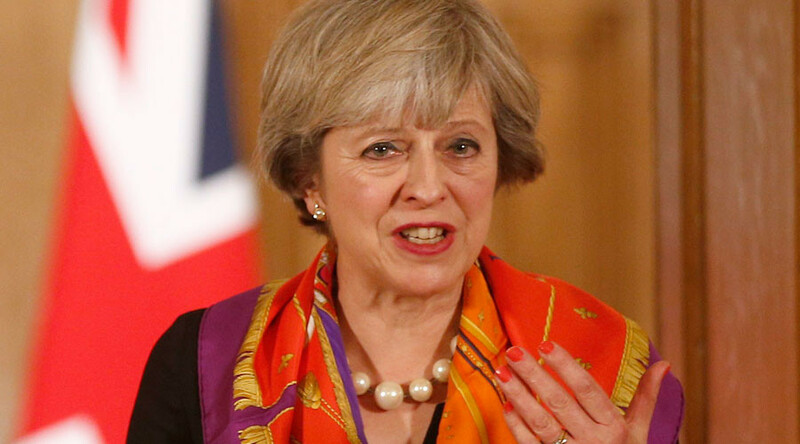 British Prime Minister Theresa May has set out her vision for UK trade cooperation with the Gulf regimes ahead of her historic trip to a major regional summit. She insists that, given time, human rights will come to the region. May rejected concerns over the litany of well-documented human rights abuses reportedly perpetrated by the theocratic, authoritarian states in favor of deepening economic ties. “No doubt there will be some people in the UK who say we shouldn’t seek stronger trade and security ties with these countries because of their record on human rights,” she told the BBC on Monday. May will be the first woman to attend the Gulf Cooperation Council of regional monarchies. She says she will push hard to open up new trading relationships with states like Bahrain, where she is set to discuss political reforms in the wake of the 2011 Arab Spring. The prime minister insisted the Gulf kingdom’s business would help improve British prosperity and even help the country in projects of social uplift. “That’s why it is such an honor to be invited to attend the Gulf Cooperation Council where I will have the opportunity to talk to all six leaders about how we can develop our trade relationship, as well as cooperation on security and defense,” she said in a statement. May also insisted that with Brexit approaching the Gulf market was vital as an alternative to the EU. May will have dinner with the leaders of Saudi Arabia, Bahrain, Oman, Kuwait, the United Arab Emirates and Qatar on Tuesday before addressing the council on Wednesday. In November, Prince Charles opened the first section of the controversial Mina Salman naval base in the Kingdom of Bahrain despite criticism of the regime’s human rights record. The base represents the first permanent military presence in the kingdom since 1971, and was built using mostly Bahraini cash. 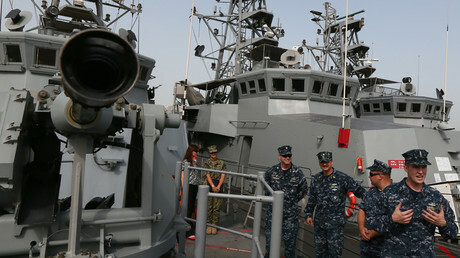 It will be used by Britain’s Royal Navy alongside a large US naval base. In April, a report for the Foreign Affairs Select Committee blasted Bahrain’s record on human rights abuses, not least during the violent crushing of Arab Spring protests with the direct support of another controversial UK ally, Saudi Arabia. The report also argued that human rights had effectively been downgraded by the UK government in a bid to shore up relations with the authoritarian state, which enjoys arms trading and security arrangements with Britain.